@stemshade Thanks for giving it a listen. Definitely will check out the vid...Subscribed. The OT and OP-Z are a fantastic combo. 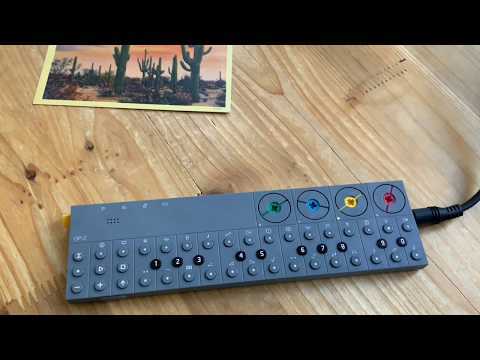 Midi sync them and you can sample perfect loops from the OP-Z. Or use the OT to record and mangle guitar loops to accompany OP-Z grooves. @echoopera Today I was commuting and listening to all of your ambient KEW, OP-Z Patterning works again :) ... boy, I cannot stop giving praises. You are absolutely amazing an ambient head on iOS! So inspiring and so high of quality what’s on your soundcloud! KEEP IT UP, bro!!!! Made over the weekend. I posted it in its own thread but it disappeared. Still loving this little thing.